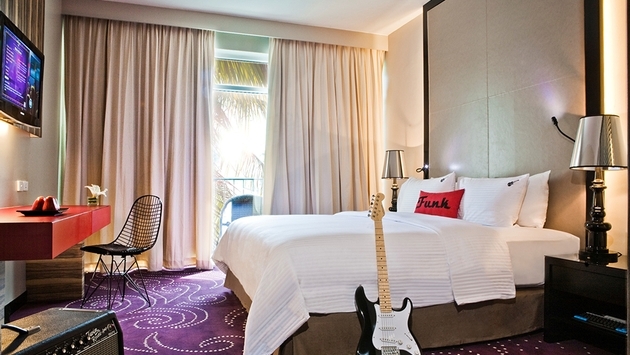 Hard Rock Hotels & Casinos is debuting a new collection of playlists -- Tracks Volume Nine Collection -- from Downtown Records, ADA Music and Mute Records. It will be available through March and is a part of Hard Rock’s The Sound of Your Stay music amenity program for guests. The Downtown Records “Resort” playlist includes Cold War Kids’ Dear Miss Lonelyhearts and Dale Earnhardt Jr. Jr.’s Speed of Things. ADA’s “Player’s” playlist boasts music from Goodie Mob's Age Against the Machine, Washed Out and Dropkick Murphys and The Dismemberment Plan. Moby introduced the playlist curated by Mute Records, which features M83’s Midnight City and Gita by Moderat. “Hard Rock has a long history of supporting the ever-evolving music industry and continues to celebrate unexplored talent and introduce original music to an unfamiliar audience,” said Blake Smith, global director of music and marketing at Hard Rock Hotels & Casinos.